By Melissa Lennig on October 15, 2013 8 Comments. This content contains affiliate links. As an Amazon Associate I earn from qualifying purchases. Monday through Friday, when the alarm clock buzzes 6 AM and I’m warm, comfortable, and lingering out of a good dream, it’s difficult to muster up the energy to drag myself out of bed for work. However, on Saturday and Sunday, when my children wake me at 6 AM, I often can’t wait to begin the day. They are growing up so fast! In a sappy the boys will be 21 before we know it moment, I arranged 5 Family Halloween Games for all of us to enjoy over the weekend. 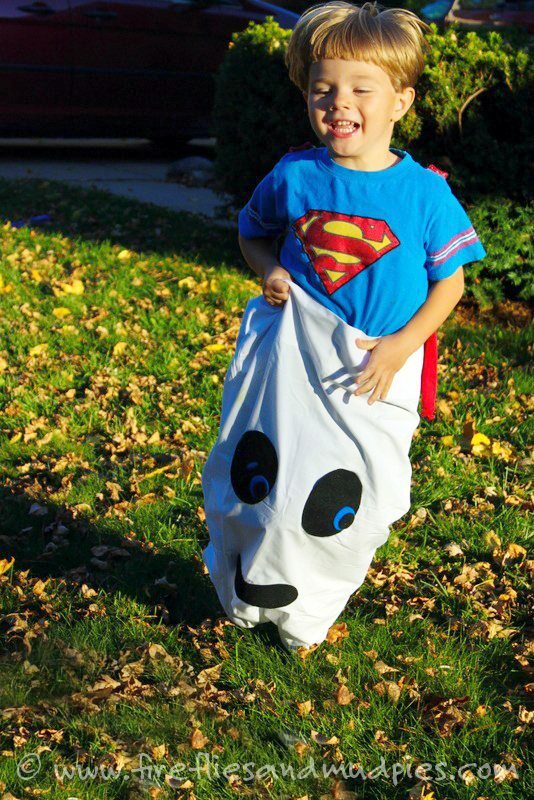 Ghost Races are organized like a traditional Potato Sack Race, except the white pillow case is decorated like a ghost. I used black felt and tacky glue to create the ghost’s eyes and mouth. The boys loved this game and I appreciated the large amount of energy it burned off. In Franken-seek, Frankenstein hides while the villagers search for him. (To invite him to a Halloween party, of course!) The boys enjoyed dressing up in this high energy, imaginative game. This game is similar to an Egg and Spoon race, but without the mess! 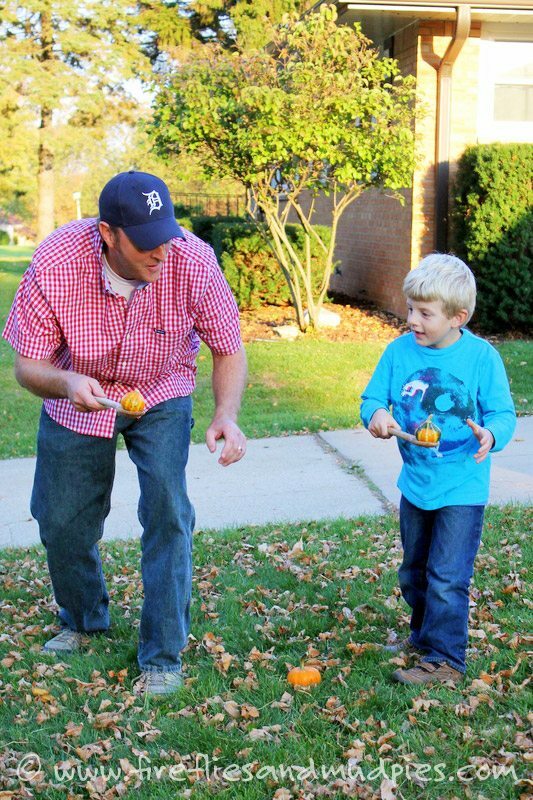 I challenged the boys to balance gourds on a wooden spoon as they walked around the mini pumpkin and back. First, I created rings out of rope, wooden beads, and hot glue. 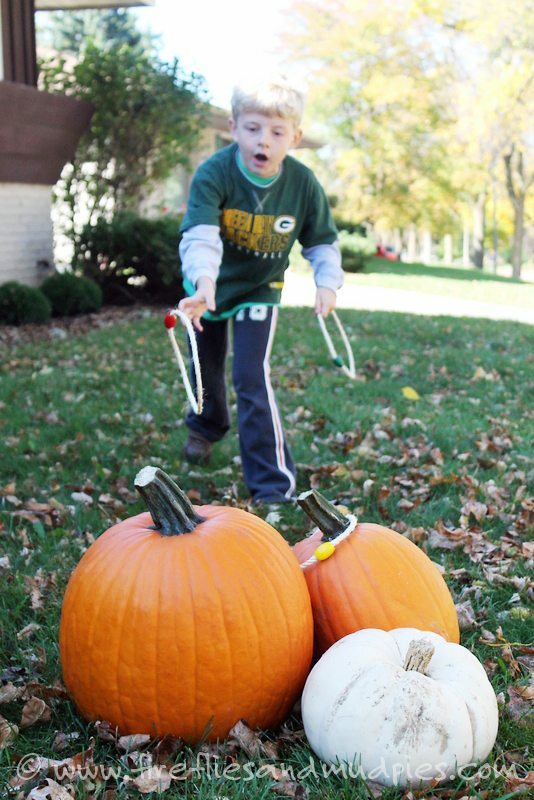 I then grouped our pumpkins together and invited the boys to try to ring the stems! We all enjoyed the simplicity of this seasonal version of ring toss. I remember playing this game at a Halloween party when I was a little girl. To set it up, simply string donuts on a line. The first person to finish their doughnut is the winner! 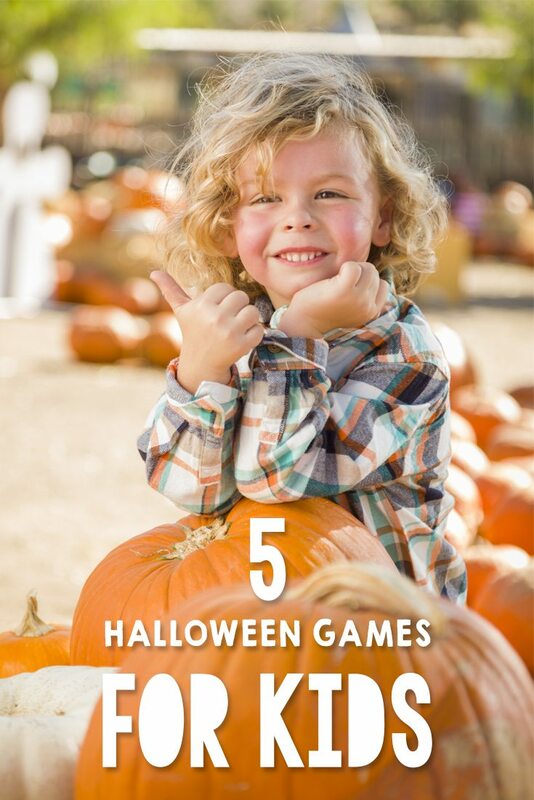 Paired with Halloween Bubble Wands, these five games would be a spooktacular addition to a children’s Halloween Party. Or, simply enjoy them on a lazy afternoon, as my family did! The doughnut game looks fun! I’m going to play a similar game at my school. 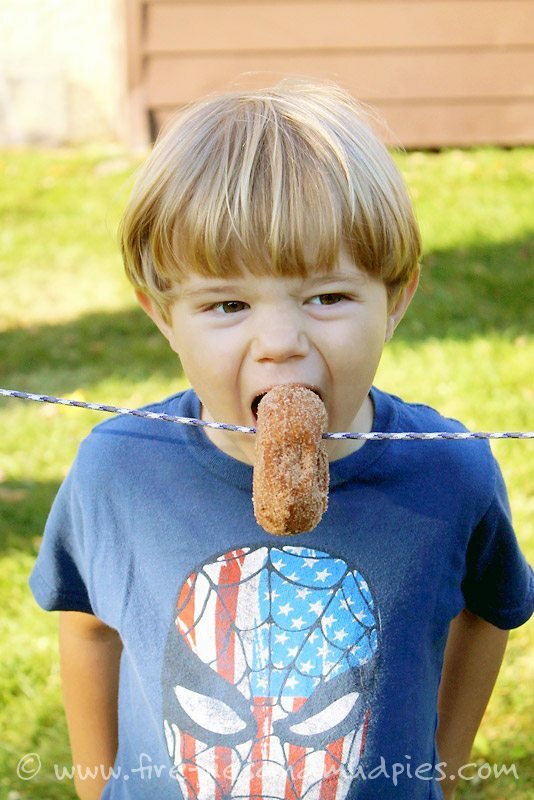 May I have permission to use the image of the boy eating the doughnut at that event? Thanks!